On Friday 24th June we raised our 4th Green Flag in the school. 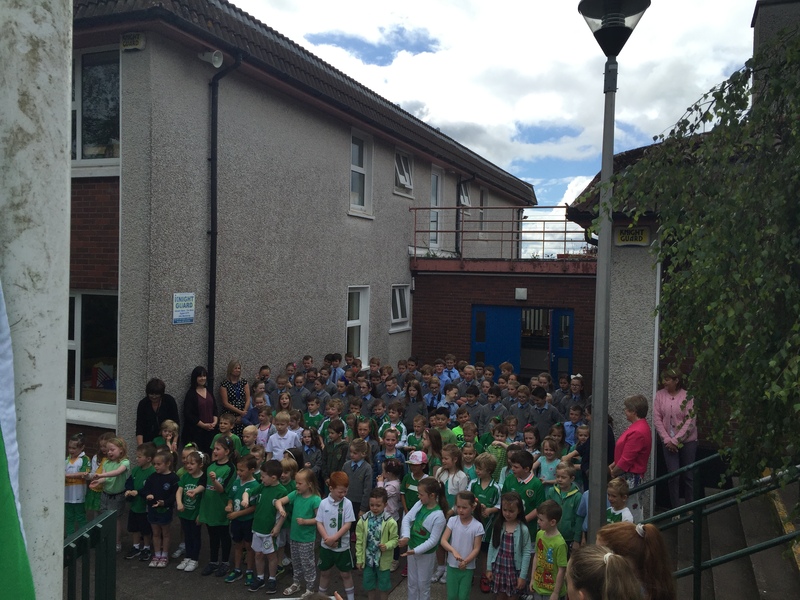 The children in Junior and Senior Infants wore green to celebrated and recited a poem called ‘Water’. Mrs. Doody, on her last day in our school, raised the Green Flag and was accompanied by Senan on the trumpet. It was a lovely ceremony and huge thanks must go to our Green Schools committee.